The Art Gallery of New South Wales is honoured to announce that the Susan and Isaac Wakil Foundation has committed $20 million to its capital campaign. This is the largest monetary gift in the Gallery’s 146-year history. It will support the new building designed by multiple award winning Tokyo-based architectural firm SANAA, scheduled to open in 2021. Susan Wakil AO and Isaac Wakil AO have long been committed to the Gallery’s growth and development, and in 1969 they attended the Foundation Appeal dinner to support the Gallery’s first major extension as part of the Captain Cook bicentenary celebrations. When apprised of the Gallery’s current expansion proposal, Mr Wakil expressed his interest in supporting the Gallery through the Susan and Isaac Wakil Foundation. Through many discussions with the Gallery and David Gonski AC, president of the Art Gallery of New South Wales Trust, Mr Wakil has followed the project’s progress closely, and was delighted to see SANAA’s design evolve over the past two years. 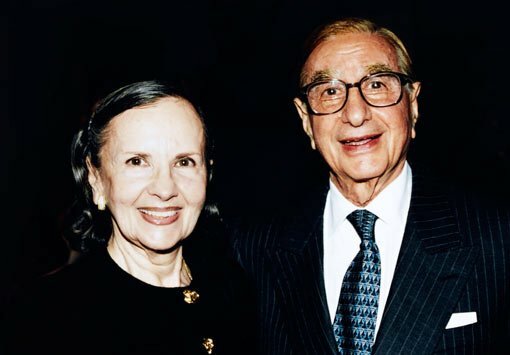 David Gonski noted that Susan and Isaac Wakil are known for their extraordinary philanthropy, generously supporting over many years a variety of Sydney institutions, including the University of Sydney, Sydney Jewish Museum and Opera Australia. “Susan and Isaac are two of the Gallery’s most committed and longstanding donors. I am delighted, but not surprised, by their leadership pledge. This magnificent gift is instrumental in making the expansion of the Gallery a reality,” Gonski said. Art Gallery of New South Wales director Michael Brand said the Gallery will recognise this philanthropic leadership by naming two prominent locations in the new building after the Wakils. “We are delighted that the journey through the new building will begin at the Susan Wakil Pavilion. Our many visitors, especially those attending galas, membership receptions and other special events, will also be able to enjoy the grand space of the Isaac Wakil Gallery that is central to the new building’s layout” Brand said. This commitment of $20 million is part of the $70 million pledged to date in support of the Gallery’s expansion. The capital campaign to support the project will be publicly launched later this year. The association of Susan and Isaac Wakil with the Gallery goes back many years. In 1988 the Wakils became high-level supporters of the Art Gallery of NSW Foundation, the Gallery’s primary source for acquisition funding. For decades the Wakils were regulars at Gallery events and also advocated for the Gallery at their many other social engagements. Susan Wakil AO, at the age of 15, arrived in Sydney from Romania, with her aunt, speaking Russian, French and Romanian. Her mother did not survive the war. Susan enrolled in Holy Cross College, to complete her schooling and perfect her English. In the 1950s she met and married Isaac Wakil AO, who was born in Baghdad, Iraq. Susan was a staunch supporter of St Vincent’s Hospital, and was close to Sister Bernice during the construction of the Private Hospital. In the 1980s Susan was also involved with the Heart Foundation Women’s Committee. A generous benefactor of the arts, Mr Wakil has been a supporter of the Gallery since 1969, and served on the AGNSW Foundation Board from 2001 until 2007. In 2014 Mr Wakil and his wife formed the Susan and Isaac Wakil Foundation, through which they have provided unprecedented levels of philanthropic support to organisations including the University of Sydney, Opera Australia and Sydney Jewish Museum.